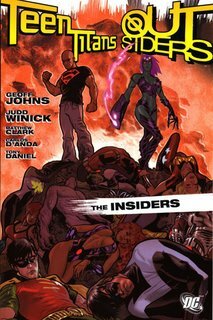 Coming as it did just a few scant months (and one trade more per series) before Infinite Crisis, Teen Titans/Outsiders: The Insiders might well have been the series closers before Infinite Crisis. That is, there's plenty of team shakeup at the end of the trade, but it's going to be painfully short-lived given the coming One Year jump. But moreover, The Insiders is a direct, and well-done, sequel to Young Justice/Titans: Graduation Day, the acknowledged beginning to the Countdown to Infinite Crisis, and as such it should more stand as the end of the Countdown, rather than the almost, kinda end. But these are tiny quibbles -- praise, really -- about a trade that, while mostly fight-scenes, also contains unexpected heart, and is a nice anniversary for both of the series. Superboy resolves to tell the Teen Titans that he's learned Lex Luthor is one of his genetic fathers -- but before he has the chance, Lex enables a sleeper program that pits Superboy against the Titans. Robin calls the Outsiders for help, but they're attacked by their own teammate Indigo. It turns out Indigo is Brainiac 8, and Lex Luthor has teamed with Brainiac 13. The villains attack the teams at Star Labs -- with an army of Superman robots -- echoing Graduation Day; Wonder Girl is able to awaken Superboy, while Shift must kill Indigo to save her. Superboy subsequently leaves the Teen Titans, considering himself a threat, and Nightwing quits the Outsiders; Jade recruits Captain Marvel Jr. to add power to the team. As a sequel to Graduation Day, The Insiders succeeds enthusiastically. I didn't quite make the Graduation Day connection in this trade until the excellent shot of Wonder Girl facing the Superman robot in the same pose as Donna Troy, shortly before she died; if one didn't know better, they might have been worried that Cassie was headed for the same fate. In fact, the trade does a great job showing how all the characters have evolved over the last year of Teen Titans and Outsider stories, Wonder Girl especially. I thought it was a nice touch that the covers to parts three and four of the story are homages to the two series first issues, thematically bridging the gap between the two. When we learn that Indigo, as an agent of Brainiac, was sent all along to kill Donna Troy, it completely reverses the way we interpret Graduation Day. Arsenal blows up the headquarters that the Outsiders received after Graduation Day, effectively "closing" that chapter. And Nightwing quits the Outsiders -- just as he quit the Titans after Graduation Day -- and were it not for One Year Later, we might figure this to be the end of Nightwing's involvement with teams for the forseeable future. The strife in much of this is contingent on how much the teams have grown over the year they're together; the state of the union appears strong, even as that union begins to crumble. As villains, Superboy and Indigo are notable also because they're each one half of a driving team romance. In the end, it's those romances -- with Wonder Girl and Shift, respectively -- that redeem the characters. Wonder Girl and Superboy have been building since their Young Justice days, and their relationship here is a natural continuation of that; if anything, it might have been more effective had they actually been dating here, as after the Teen Titans Annual, instead of undefined. Shift and Indigo's relationship, alternatively, is much newer, but there's a great scene in Insiders that shows them together, and it's a wonderfully tragic counterpart to the end of the book. If a story has any strength, it's in making the reader dread the inevitable, and The Insiders delivers in spades. There's a couple of different art teams here, with considerably different styles. Carlos D'Anda is pretty controversial for his dark, grungy lines, but for Outsiders, I'd argue that it works appropriately. I had more trouble with Matthew Clark on Titans, following Mike McKone; Clark's traditional style contains hints of Rob Liefeld, with cheesecake poses and perpetually open mouths. I found I liked Tony Daniel much more, inked by Art Thibert; his close-up shots strongly evoked Tom Grummett. None of the art is unreadable, certainly, and all of it works well for The Insiders' wide-screen action; some of it just worked better for me than others. Well, I'm off now to continue our Countdown to Infinite Crisis countdown, reading Day of Vengeance. 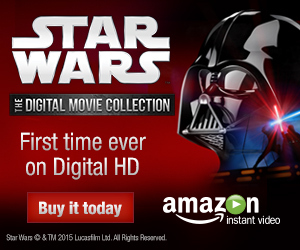 From there, the JSA tie-in, and more. See you around. Nice review. I remember enjoying this crossover quite a bit, although I thought Winick's Luthor was a little off. "It turns out Indigo is Brainiac 8, and Lex Luthor has teamed with Brainiac 13." Woop! That wasn't Brainiac 13: I think that was either Brainiac 6 or just plain old Brainiac. Brainiac 13 appeared in other stories like Superman: Y2K and Our Worlds at War.